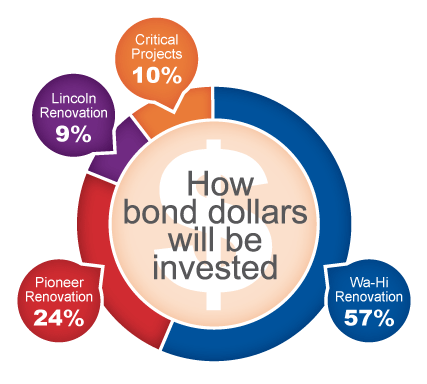 On November 6, 2018, Walla Walla Public Schools will ask voters to decide on a $65.6M replacement bond measure to renovate Walla Walla High School, Pioneer Middle School, and Lincoln High School and fund specific district-wide health, safety, educational and infrastructure improvements. The school renovation projects are eligible for an estimated $52.6M in State Match funds. All State Match funds will be applied only to the voter-approved projects. Any excess dollars remaining following the completion of these projects will be used to pay down debt to reduce the rate for taxpayers. 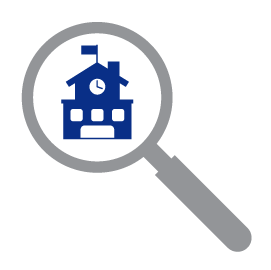 - Complete specific district-wide school projects prioritized by the Facilities Task Force consisting primarily of roofing, heating/cooling/efficiency upgrades, and safety and security enhancements. Through maximization of state match resources and applying those resources directly to the identified projects, the district is able to renovate three schools without increasing the tax rate for stakeholders. This is a replacement bond. All existing bond debt is paid in full in December 2018. The proposed $1.23 per $1,000 assessed valuation replaces the existing rate taxpayers are currently paying. There is a no tax rate increase as a result of this proposal. Taxpayers with a home valued at $250,000 would continue to pay approximately $26 per month or $308 per year. The term of the bond is not to exceed 20 years.